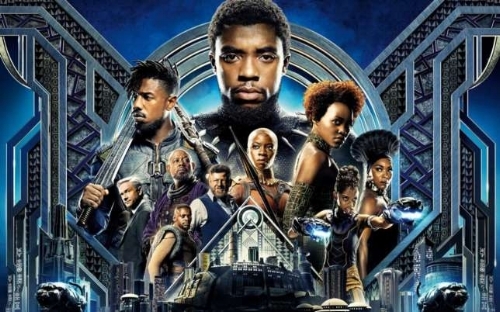 Starring: Chadwick Boseman, Michael B. Jordan, Lupita Nyong’o, Danai Gurira, Martin Freeman, Daniel “Get Out” Kaluuya (might do that for every movie he’s in now. Might not. We’ll see), and Letitia Wright. Synopsis: Bulletproof kitty man drinks magic juice to become the Black Panther! King of Wakanda! But dark forces collude to take his crown and steal the technological masteries of the peaceful but secretive country. Can the Black Panther stop tyranny dead in its tracks? Probably. But it's all about the lessons you learn while doing it. Amiright? 7.5/10 With great acting and story its worth your time. If your not into comic book flicks though, maybe wait for it to show up on your Netflix. Thats it! I’m all done!